As REDD Talks Progress In Bonn, Question Arises: Who Can Use The Term “REDD+”? 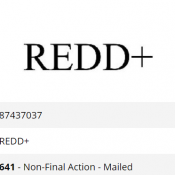 Climate negotiators are meeting in Bonn this week to refine rules for tracking progress under the Paris Climate Agreement, but one organization got things off to a rocky start by trying to trademark the term “REDD+”. The application was denied, but the attempt highlights public confusion over terms. 14 November 2017 | BONN | Towards the end of summer, climate negotiators learned of three trademark applications that were filed in May of this year. One was for the logo “REDDPLUSX”, which is described as a carbon credit brokerage. Another was for the logo “RRU”, which are proposed carbon credits generated by saving or supporting forests under the Paris Agreement.